Laydex Building Solutions was founded in 1995 and is a wholly owned, independent Irish Company servicing the Construction industry in Ireland. 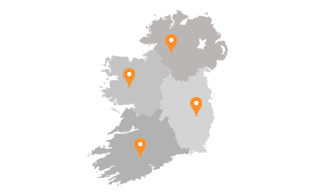 Operating from our 40,000 square foot Warehousing, Sales, Administration, and Distribution centre in Dublin we represent some of the world’s leading brands in construction materials encompassing Roofing, Flooring and a wide range of Building Products. Laydex was established to service Ireland’s builders merchant and hardware retailers by providing them with innovative, cost effective building products with no compromise on quality. We identified the importance of specification and have established specification divisions selling specified solutions for the Flat Roofing, Commercial Flooring and Fire Stopping sectors. We have built a reputation for being a dynamic business meeting the ever-changing needs of contractors and project specifiers alike. Together with our manufacturing partners we provide an unrivalled level of support, technical expertise, and design assistance throughout each project and aim to provide a premium service to everyone of our valued customers. Laydex Ltd, founded in 1995, is the leading supplier of the most complete and innovative range of building products available in the Irish Construction Market today. Laydex provide environmentally sustainable building solutions and has built a reputation for supplying innovative and dynamic products appropriate to the ever changing needs of builders and project specifiers alike. Together with our exclusive global manufacturers, we have a firm commitment to the continued development and distribution of premium quality products to the Irish Construction Industry which is central to our continued success and expansion in line with the Construction Industry itself.